The HHR is a reliable vehicle in favor of it is stature and fuel efficiency. My vehicle has to have the tires rotated three or so times a year, otherwise it pulls to the side of the road when driving. It is comfortable and fits quite a fair amount for its size. Since it is a smaller vehicle it is easier to maneuver it into parking spaces that do not give you much room. It has not once broken down on me in the few years that I have owned it. The wipers have been replaced because the stock ones smeared less than cleared. I have gone the majority of the miles and I have no complaints about the handling of the vehicle. In severe weather conditions it gets thrown about pretty effortlessly. Even though that may be the case, I have braced the storm with little issue and never wrecked my car. Fun features of the her is that the back carpet lifts up and reveals storage spaces. Smaller cubbies for more portable items. Then it has a bigger one where the spare tire and battery are held. Other features include, a secondary glove compartment on top of the dash. The windshield is at an excessively odd angle and I have never been able to find a windshield shade that actually fits it. My brakes will be the next thing I have inspected because they are touchy, bumpy, and cacophonous when trying to stop. The side windows in the back past the doors are so good for seeing past blind spots. The automatic "trunk" door is really handy when my hands are full. My family owns 4 HHRs at the moment to testify how reliable and fuel efficient they are. Chevy HHR is a fun vehicle. Has lots of pep. Overall great car. You have to learn to compensate for blind spots. Oil changes have to be done at dealership because of oil type needed. Mileage best when driving on freeway. Great adjustability in driver seat. Not good for taller people. Room for 4 - 5, people. Lots of room in the back cargo area accessed by rear hatch. Nice radio, CD player that sounds good. Controls on steering wheel are nice. Info for car vitals are push buttons on steering wheel: odometer, temperature, trip a, trip b, mileage to go on tank of gas, mpg, oil life & tire pressures are displayed on dashboard. 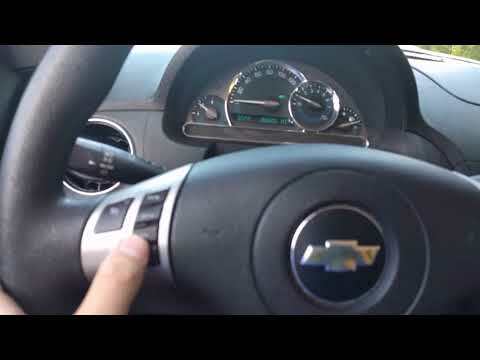 Chevy 2011 car review on black HHR. The car has a lot of space throughout the whole car. I haven't experienced any problems yet and I bought the car used and have had it for 6 months. The armrest are very comfortable when driving and the power steering in amazing. The car has great sound quality with the speakers and the trunk is huge and is great for shopping. When driving this car it does not make you feel like your too high up or too low either. There is no armrest compartment instead it's on the dash which took some getting use to but I now find it very useful.